Our latest aircraft to go through the paint-shop rolled out of Air Livery in East Midlands this week proudly sporting it's new tail livery. Air Contractors is a bold and agile airline which is personified by the striking new application of the ACL chevron on the tail of EI-SLA. The revised livery has the ACL chevron tilted upwards and forwards symbolising the progressive nature of the airline which is constantly seeking ways to improve on all aspects of it's operation. 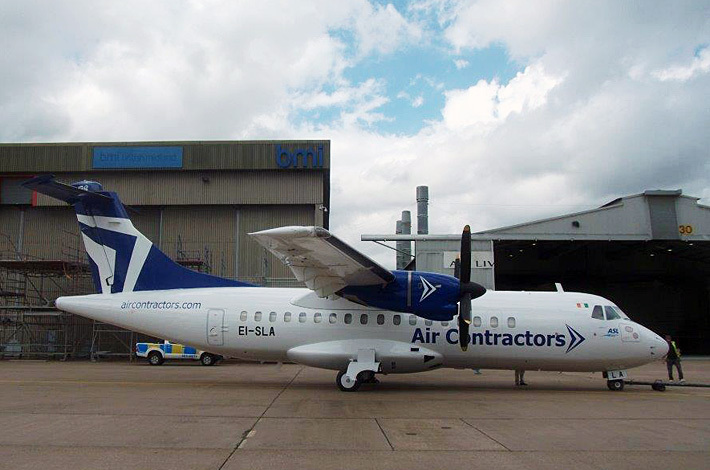 EI-SLA, an ATR42, had a complete re-paint during its visit to Air Livery at East Midlands Airport. The aircraft has already entered into service and is operating for FedEx on a route out of Oslo.